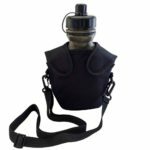 For use with Seychelle’s 28oz pH2O Water Bottle. Also works with any 28oz. Seychelle bottle, and 38/42 oz.canteens. Also works with any Seychelle 28oz. bottle, 38oz. canteen and the water pump. Completely interchangeable! 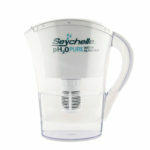 This Seychelle pH2O Pure Water Replacement Filter increases the alkalinity (pH) of drinking water up to 9.5 pH. 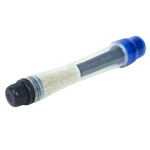 The dual-chambered pH Enhanced filter also removes up to 99.99% of toxic chemicals, contaminants, and pollutants found in fresh water supplies (see below). The pH2O filter is designed to be used as a drinking water filter for use with municipal water. 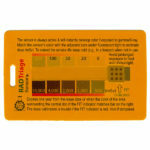 Removes radiation from drinking water. See list below. 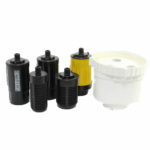 This pH2O replacement filter can also be used in the following Seychelle (and Clearly Filtered™) products. Dissolved Solids and harmful Heavy Metals including dirt, Arsenic, Asbestos, Lead, Mercury, Copper, Zinc, Aluminum, trihalomethanes, Cadmium, Chromium 6, etc. 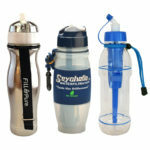 Be the first to review “pH2O Replacement Filter for Seychelle 28oz Pure Water Bottle” Click here to cancel reply.